Small, simple, and ready for action: meet the Bot. The smallest member of The Family Series is designed with the same ergonomic features, ruggedness and reliability of the other members, but with a fun and bright twist. Durable plastics, a single arm bracket, and large push button make the Bot sturdy and simple to operate. The battery compartment on the Bot screws shut to ensure that the batteries will not be accidentally accessed by little fingers. 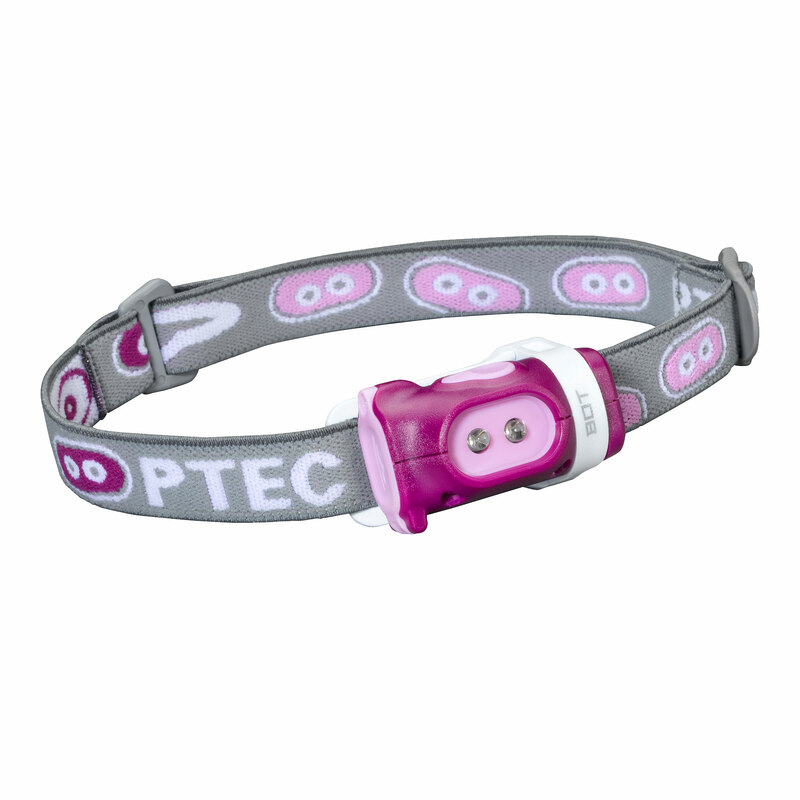 In addition, the Bot’s headstrap is equipped with a safety buckle that will release under excessive pressure. The Bot is a great way to introduce The Family to your family. Why is this Bot in our Outlet? It’s an older (vintage!) colorway and only 15 lumens. Our newer Bots are 30 lumens, but we’re pretty sure either way you’re little adventure pal will have enough light to explore!